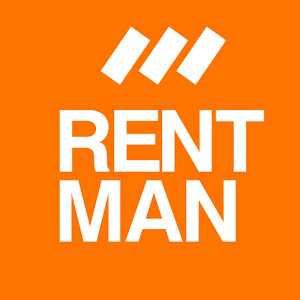 In Rentman shortages per project can be solved by reserving items for a certain project. The option to solve shortages is by default deactivated in the admin panel. More information about equipment availability. You can change the option in the administrator panel under "Configuration". If the option has been activated you can reserve/book equipment for a specific project. In the project, for which the equipment has been reserved no shortage is shown. In other projects, using the same equipment, the shortage is however still shown. If you are planning equipment for a project (this counts for projects in every status), the system reserves all the available items. If there are not enough items available for the project a shortage arises. If however enough items can be reserved for the project there wont be any shortage. Example: You have 2 items of a certain type of equipment in stock. If you now create Project-A, which uses both of these items, the items are reserved for Project-A. If you afterwards book those two items for Project-B as well, a shortage arises in the second project. As shown below in Project-A no shortage arises as the two items have been reserved for it. Within the project/sub-rental modules the shortages per project can be displayed and managed in the timeline showing the equipment availability. Projects that thanks to their reservations do not have any shortages are marked as green in their availability of equipment. By moving your cursor over a project, for which an item has been planned, you are able to see how many of those items are planned for the project. If there is a shortage of an item and it has been planned for multiple projects you can change the reservations of projects. This can be done by simply clicking on the -symbol, which appears next to a project. After you have clicked on the symbol a new pop-up opens up, which offers an overview of all projects for which the items of the current equipment have been planned as well. You can now remove reservations from other projects to free them up for the current one. Within the pop-up window project information is shown at the top. The green/red lines show the time periods for which the items have been planned. The current project is shown in the beginning with a certain number representing the quantity of reserved items. The other timelines are representations of other projects for which you can add or remove reservations by clicking on the +/- button. In the example shown above you can see how reservations that have been removed from one project are automatically added to the current one.